Last minute and expired hotel room inventory booking application NightStay has raised about $500,000 in a pre-seed round from BedRock Ventures, Rajesh Sawhney of GSF and Shailesh Vickram Singh, partner at SeedFund. The startup was founded in 2014 and offers same day and last-minute booking for about 30%-40% discount on the actual price of a hotel room rental. The company only deals in only high rated hotels and not the budget unorganized hotel inventory. Commenting on the startup and the investment, SV Singh, partner at Seedfund, said, “There is a clear and present opportunity in the space where no player was targeting expired hotel inventory while user behaviors is clearly shifting towards last minute booking due to onset of mobile apps,” reports ET. According to Co-Founder Nasr Khan, NightStay is building a one stop solution for the discerning & spontaneous travelers. It has been built as a mobile-only offering to book last-minute rooms in upscale & boutique hotels in India. 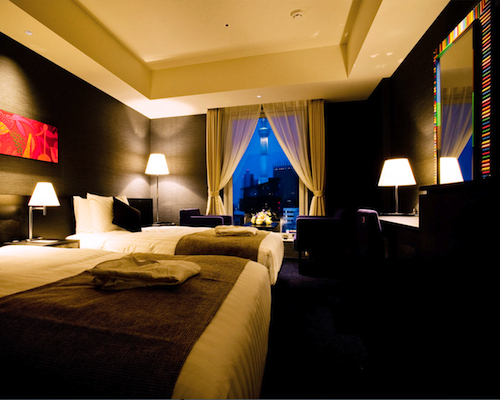 NightStay aims to cut down on unnecessary planing and lets one invest the saved time in doing something better. The app is operational in New Delhi, Mumbai, Bangalore, Goa, Hyderabad & Chennai. A notable feature about NightStay is that all bookings are down for and on the same day. Last-minute means the user cannot book a week or month in advance, they can only get access to the special deals on the same day that they would like to check in. Aren’t there other players in this space? How are they different?